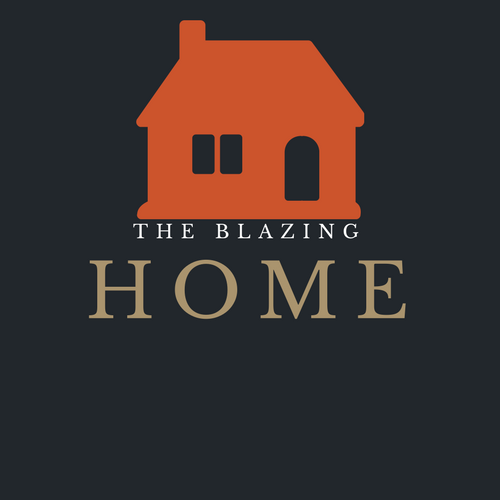 A house without a fireplace is not complete. It is to be used during the cold season. It will heat the room helping avoid the diseases that come due to cold air. In the past, fire used to be lit in the fireplace using firewood or cool. This is a bit smoky, and it is for this reason that people came up with the idea of an electric fireplace. The first electric fire dates back to 1912 which were used mostly in the theater as a prop. The old models of electric fireplaces had a lot of cons; they were expensive, hard to install and the flames were not at all realistic. This is quite normal with the first inventions of any product. With time it was upgraded, and in the year 1995, the best electric fireplace was created by adding the wood burning flame that we see today. Manufacturers continue to flood the market, especially during the winter season. The popularity of an electric fireplace has grown at very high rates. They are very affordable and compact. The added advantage is that they are portable. With all these advantages there is this one worry that people have. Is it safe to use in-house? These worries come due to the much risk that the gas fireplaces pose. So, many people assume that the same chances are as well associated with electric fireplace. To start with, the flames on the electric fireplace are just an illusion that is created by light bulbs. Therefore, unlike the gas fireplace, there will be no combustion causing the glass to become hot to touch thus risky to children. Secondly, the electric fireplaces produce heat through the electric heater, unlike the gas fireplaces that burn fossil fuel that produces carbon monoxide. The gas is always vented to the outside, but if licking takes place, it could be risky to your family. No such emissions with electric fireplaces. 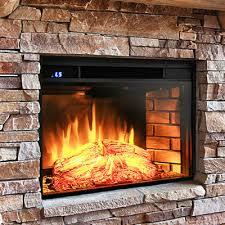 Lastly, some gas fireplace or traditional fireplaces do not have glass between the flame and people. This means it is hazardous and you could get hurt by these flames. The fire on the electric fireplace is just illusion and cannot harm anyone. 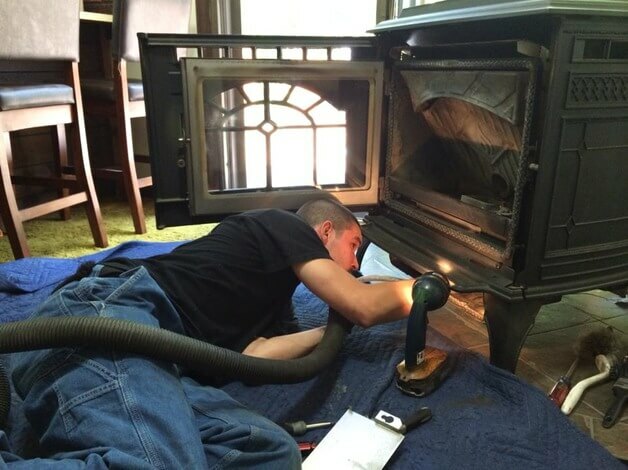 The other commonly asked question is; is it safe to leave an Electric Fireplace Overnight? 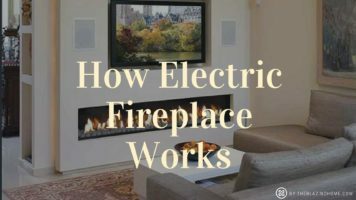 Comparing the electric fireplace with the traditional log fireplace and gas fireplace, the electric fireplace is the safest if you need to heat your house or room overnight. The fireplace operates just like any other electrical device. Therefore, the risk of something like your furniture catching fire or carbon-monoxide licking is very slim compared to the gas and the traditional fireplaces. Even with it being safe there are things that you need to remember, do not overheat the appliance by overworking it. It is therefore essential to know if you are leaving it to run overnight ensure it is at moderate temperatures to avoid overheating which leads to the fireplace getting burnt. Also, ensure that there is nothing that is placed next to the cord for there are still chances of it blowing off due to overworking it. Leaving electric devices turned on for a long time in many cases result in short circuit. So electric fireplace is the safest to leave running overnight, but it is good that before you do so, you take precautions. Do not sleep and wake up to a burnt living room. Just like any other electric device, there are safety tips that are given by manufacturers of the appliance. We have compiled some from different manufacturers. The device comes with vents to allow fresh air intake and hot air discharge. These vents must at all time remain open to allow free movement of air. To avoid cases of fire, keep away all the things that are made of readily combustible materials like curtains, furniture, pillows, and clothes. Ensure that they are at least 3 feet away from the unit all sides. Make sure you unplug the cord while the appliance is not in use. When you drop the appliance, or you notice malfunctioning of the heater, do not operate the fireplace. Also, if the cord or plug are damaged do not use it. In such a case you are supposed to bring the appliance to authorized people for repair. Do not allow any foreign object to enter the appliance through the openings for it might cause electric shocks and fire. Do not try to make any modification to the unit. Also, you are only to use this appliance in the only manner that it is meant to be used. Using it in a way not recommended it may cause shock or even fire. Before connecting the appliance to the power ensure it is well grounded. Also before disconnecting first power off the firebox and ensure to plug off from the socket. Never attempt to lift the unit by the glass. Always lift it by the firebox. Do not strike or impact the fire glass. It is always good to take precaution when the appliance is near pets, kids or people with disabilities. They cannot burn but still watch out. The electric fireplaces are strictly meant for indoor use only. Do not use it outdoor or expose it to the weather. So, do not allow the cold season to affect you. Purchase an electric fireplace, and you will enjoy your winter season. The safety tips may seem a lot to absorb, but they are just the same tips that apply to any other electric appliance. If you are using gas or traditional log fireplace, it is high time you upgrade to this new technology. At an affordable price, you get something beautiful, easy to use, effective and safer.